KL Standard Chartered Marathon 2016 – Where Records Are Made | JustRunLah! KL Standard Chartered Marathon has always been a tale of strength, challenges, perseverance, sweat, blood and tears. Runners overcome all adversity to come in triumphant, giving it all they have got to complete the distance, achieving new personal bests and this year even breaking the national record. Even more so after last year’s unfortunate cancellation, every runner was majorly looking forward this year’s KLSCM. This is, after all, the biggest day for runners in Malaysia! This year, Dataran Merdeka was graced by 35,000 runners. The runner’s high, spirit and vibe took over the race village at the break of dawn as runners made their way across the glorious city of KL and its iconic landmarks. 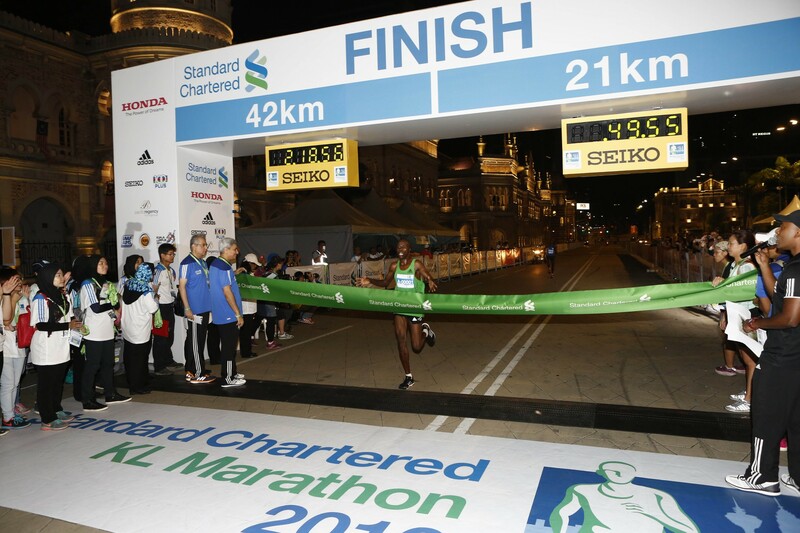 The marathon saw defending Champion Kennedy Kiproo Lilian from Kenya win the 42.195km category for the 5th consecutive time; while Ethiopian Hirut Beyene Guangul took home the Champion title in the women’s category. In both categories, it was a nail-biting race, with the champion only decided in the last seconds of the race. Kennedy won only by 2 seconds whereas Hirut managed a 12 seconds lead over the 2nd place! The icing on the cake was having our very own Sheela A/P Samivellu set a blazing new Malaysian record for the half marathon category in 1 hour 24 minutes and 44 seconds. 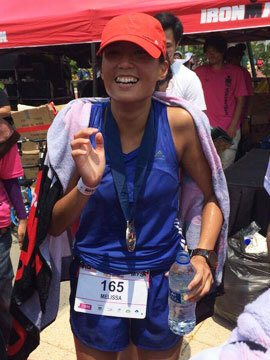 Naturally, she was crowned Champion in the Malaysian Honda Half Marathon Category! In the Full Marathon Malaysian Category, 2014 returning Champions Muhaizar Mohamad and Yuan Yu Fang once again outdid themselves, securing top spot. Truly extraordinary is the SCKLM Run for a Reason initiative which managed to raise a total of RM 444,848.00 for the beneficiaries Standard Chartered Foundation, Hopsis Malaysia, Yayasan Sejahtera and the IJN Foundation. Rainer Biemans, Director of Dirigo Events, Race owner and organizer of SCKLM Marathon looks forward to continue making Standard Chartered KL Marathon the premier race in Malaysia. Runners can surely look forward to outdoing themselves again in Standard Chartered KL Marathon 2017!